Blackwater Gold-N Professional Koi Food from Blackwater Creek is a favorite for breeders, high grade, show grade and champion koi keepers. 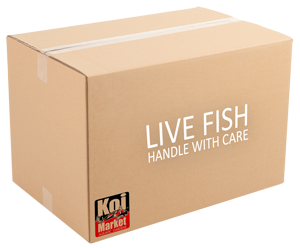 It combines Blackwater Max koi food with the most nutritional ingredients available to give your koi the best potential to achieve large growth and maintain health. 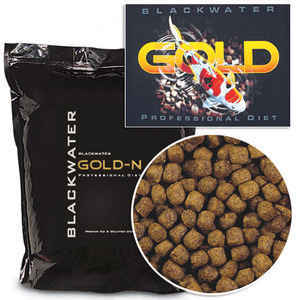 Compare Blackwater Gold ingredients to Saki Hikari, get more for less money! 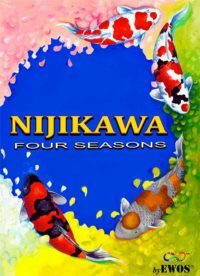 Blackwater Gold-N Professional Koi Food from Blackwater Creek is a favorite for breeders, high grade, show grade and champion koi keepers. It combines Blackwater Max koi food with the most nutritional ingredients available to give your koi the best potential to achieve large growth and maintain health. 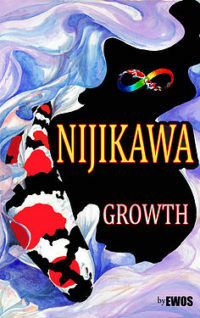 Compare Blackwater Gold Koi Food’s (Protein, Fat and Fiber) to Saki-Hikari Professional Koi Growth that sells from $7.00 -$9.00 per pound. Fish meal, plant protein products, animal protein products, dried yeast culture, fish oil, dried seaweed meal, wheat flour, spinach, brewers yeast, protease (derived from bacillus subtilus), garlic, beet powder, asparagus anise vitamin A supplement, vitamin D supplement, riboflavin supplement, niacin supplement, calcium pantothenate, vitamin B12 supplement, choline chloride, d-biotine, thiamine mononitrate, pyridoxine hydrochloride, vitamin E supplement, menadione sodium bisulfite complex (source of vitamin K activity), folic acid, zinc sulfate, copper sulfate, manganous sulfate, potassium iodate, ethylenediamine dihydrodide, ascorbic acid (source of vitamin C).